What are Social Security Retirement Benefits, and how do I become eligible to receive them? – West Virginia Senior Legal Aid, Inc.
What are Social Security Retirement Benefits, and how do I become eligible to receive them? What people most commonly call “Social Security” is Social Security Retirement benefits. These benefits are based on either your work record, your deceased spouse’s work record, or your divorced spouse’s work record. If you have worked enough throughout your life, you can collect retirement benefits. These benefits are funded through the Federal Insurance Contributions Act (FICA) deductions in your payroll checks. If you have worked at least 40 quarters (10 years), you may be eligible for retirement benefits. The benefits can be collected after you reach your retirement age. 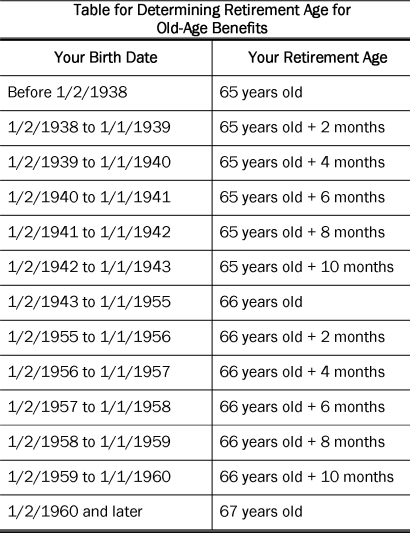 If you were born before 1938, retirement age is 65. After that, the retirement age rises slightly depending on your age. The oldest retirement age is 67. You can start collecting early retirement benefits at age 62. However, your monthly benefits will be permanently lower than it would be if you had waited to retire until your retirement age because you are collecting them over a longer period of time. Theoretically, early retirement will give you approximately the same total Social Security benefits over your lifetime but in smaller amounts to take into account the longer period of time you will receive them. How much your benefits are reduced if you retire early will be based on how much earlier you stop working than your normal retirement age. 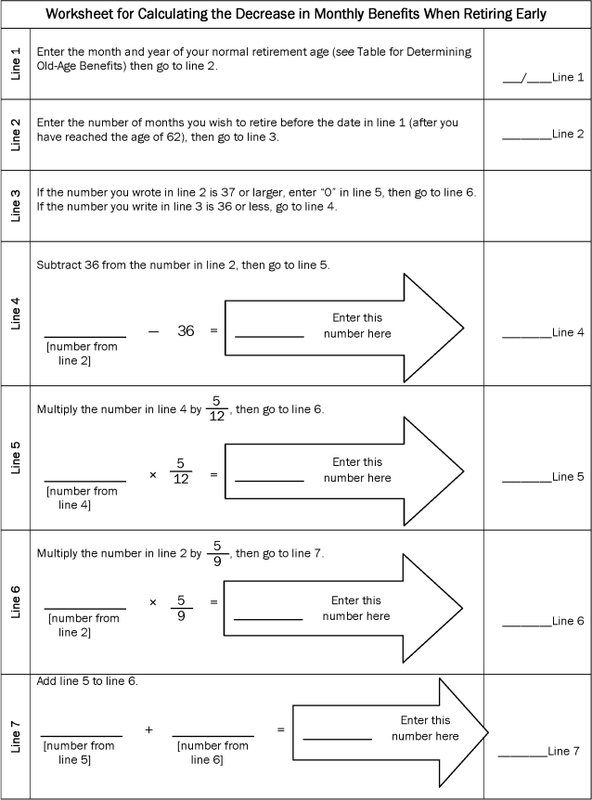 The Social Security Administration has a calculator you can use to figure out the effect of your age on your retirement benefits at https://www.socialsecurity.gov/OACT/quickcalc/early_late.html. If you have other income such as pension, or you continue to work after you reach your retirement age, your retirement benefits will be reduced. Your benefits will not be taken away totally, but depending on how much you earn, they can be reduced. Social Security Retirement benefits will not automatically be sent to you when you reach retirement age; you must apply for them. You may apply for benefits 3 months before you want the payments to begin. The earliest you may receive benefits is in the first full month you turn 62. This means payments will not start until the month after your 62nd birthday unless your birthday falls on the first or second day of the month. You can apply for benefits at your local Social Security Administration office, by calling 1 (800) 772-1213, or applying online at http://www.socialsecurity.gov/applyonline. For more information, see: Social Security Online, http://www.ssa.gov (last visited June 4, 2015); Social Security Online, Retirement Planner, http://www.ssa.gov/planners/retire/applying1.html (last visited June 4, 2015); Social Security Online, Retirement Age, http://www.ssa.gov/planners/retire/ageincrease.html (last visited June 4, 2015). Previous Previous post: What is Social Security? Next Next post: What are Social Security Disability Insurance (SSDI) benefits, and how do I become eligible to receive them?